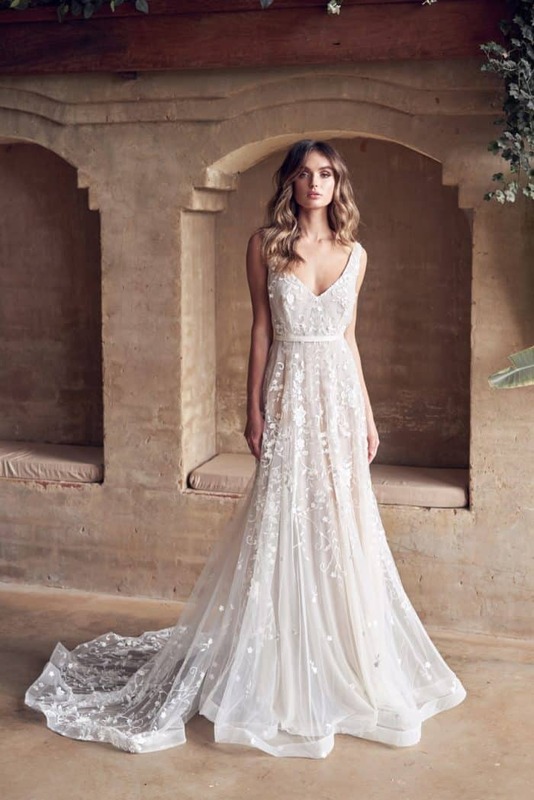 The latest Anna Campbell 2019 Wedding Dresses collection is entitled Wanderlust. 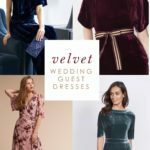 And the name is apt, since the collection is full of dreamy bridal gowns that leave you to happily navigate the choices for how to make these gorgeous wedding dresses suit your own most heartfelt wishes and desires. 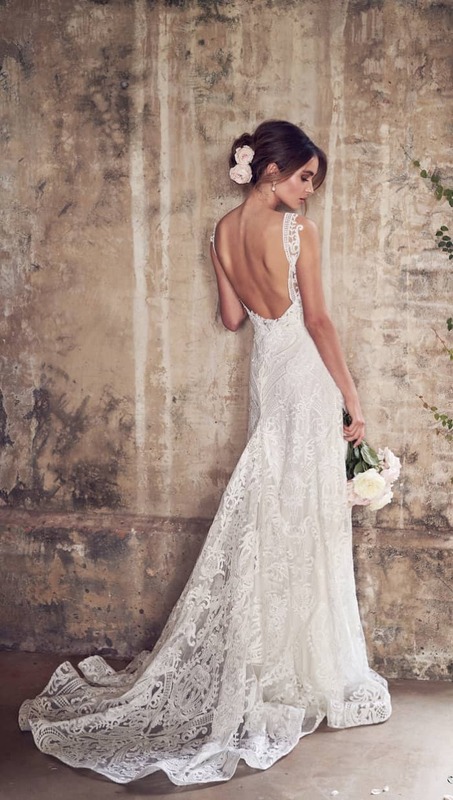 The path you choose for your Anna Campbell bridal gown is completely up to you! Do you love choices as boundless as open fields? Did you read and love those Choose Your Own Adventure books as a child? 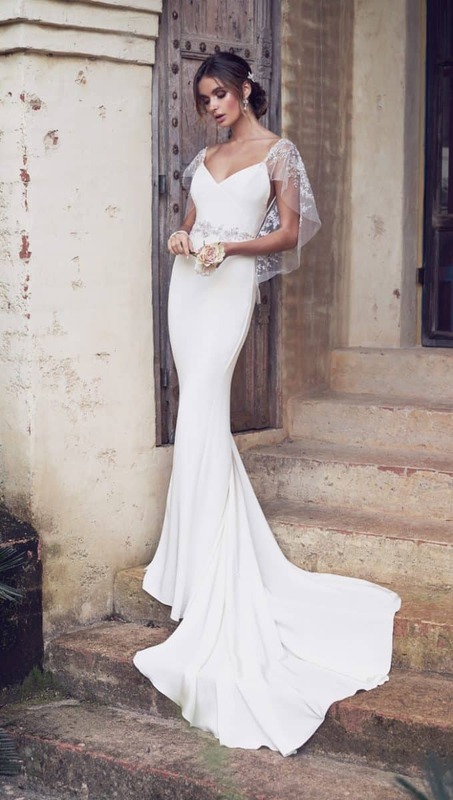 If you did, these new Anna Campbell bridal gowns may resonate with you, because each gorgeous wedding dress in the Anna Campbell Wanderlust collection is meant to give you options. With the 2019 Wanderlust Collection, you can choose your own wedding dress destiny by finding the bodice you love, and then — depending on the gown — choosing from different sleeve, skirt, or fabric and accessory options. 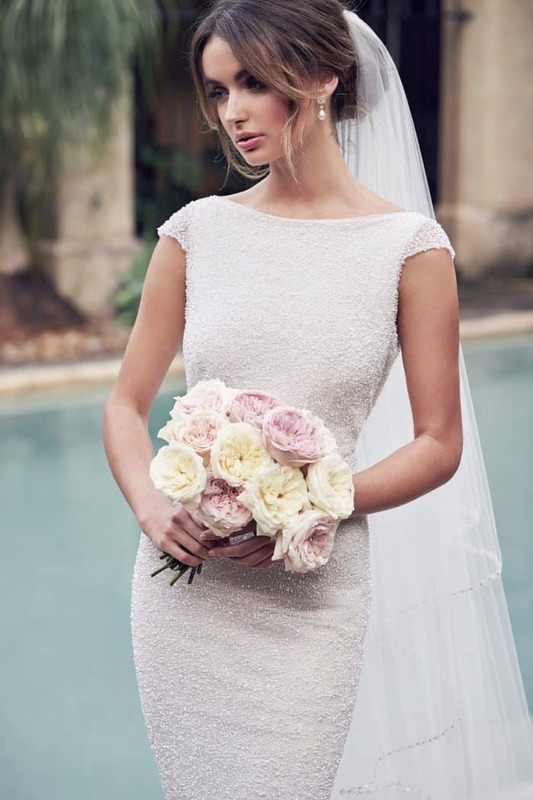 The result is the exact Anna Campbell wedding dress to suit your style and your wedding. These choices are foolproof as well, because there’s not a single option available that isn’t completely stunning. It’s like a journey led by the perfect guide! So how does this all work? 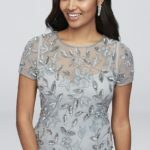 For instance, if you need a breezy gown for a summer affair, but love the look of beading; try the Aria Dress with the summer skirt. 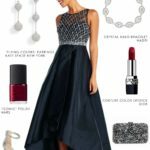 Alternatively, if you want a beaded gown for but for cooler weather, the heavier crepe de chine may be for you. 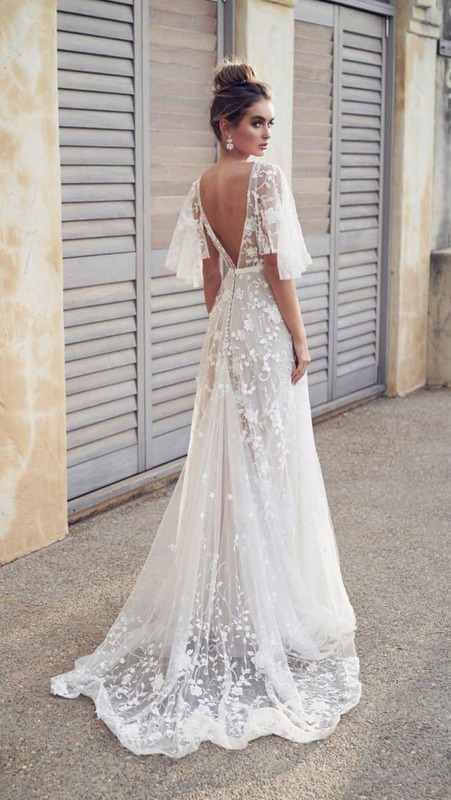 The wedding dress style opportunities are as endless as the open road! Now you just need to choose the right one for you! 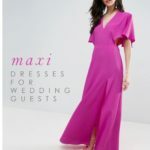 For more information on any of the Anna Campbell wedding dresses seen here, please visit annacampbell.com where you can find information about the retailers nearest you who carry these gowns. Please enjoy the gowns from the Anna Campbell Wanderlust Collection. Amelie dress is done in an ivory tulle, with embroidered floral details. 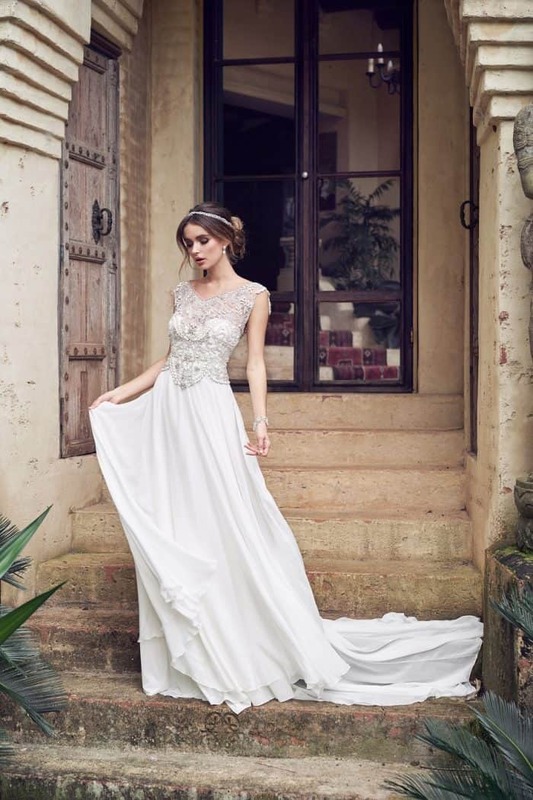 This gown has two stunning options; Amalie is available as a sleeveless gown or with a raw cut tulle draped sleeve. You can see both options in the images below. The only trick will be to decide which one to go with! The Aria Dress takes beading to a new level. This shimmering ivory, pearl, and silver bodice can be paired be paired with a few different skirt options. 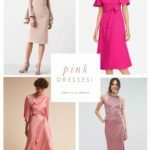 Options include, a modern fitted silk crepe de chine skirt , flowing silk tulle or a floating ‘summer skirt’. The luxurious and fully glamorous Blair gown by Anna Campbell is embellished with thousands of hand-sewn sequins, glass beads and pearls. This gown features a low back with contrasts with the high illusion neckline and delicate cap sleeves. For the silhouette, the Blair gown is offered in both a fitted and flared skirt option. 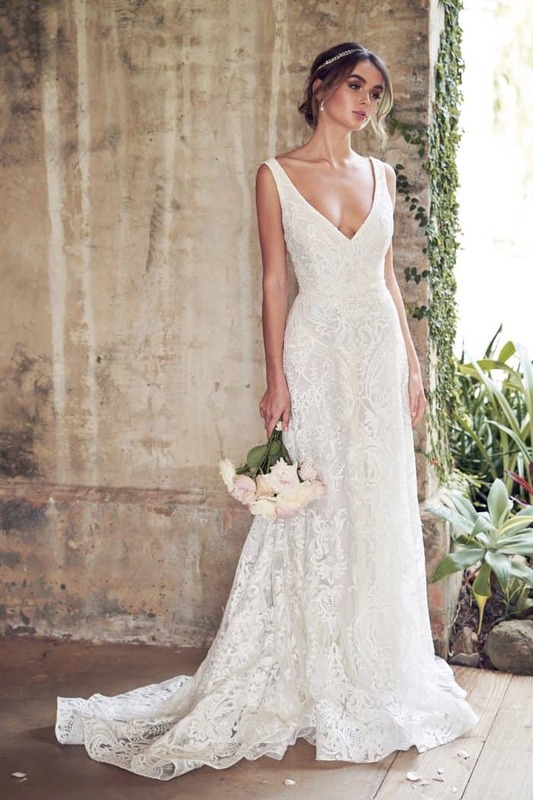 The Jamie gown is a beautiful lace wedding dress, which is again available with multiple skirt options, that allows you to choose your own skirt to accompany the beautiful plunging lace bodice and open low back. 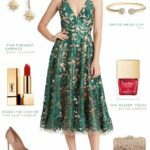 The skirt options (and the amazing changes they bring to each gown!) can be seen below. The elegant Eva dress beautifully balances ethereal romance and clean modern silk crepe silhouette, with a glorious statement back embellishment, which doubles as a sparkling draped sleeve. Luxury meets boho in the Harlow Dress by Anna Campbell. Harlow features a sheer, unstructured lace top, low back, train and sheer lace overlay. 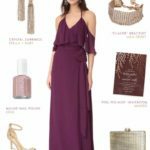 A gown for the minimalist! A Rebekah is beautifully modern silk gown with a twist neckline. Kira is a very modern, ivory lace wedding dress with a sultry, fitted bridal silhouette. Shown with beaded back loops which can be purchased separately from Anna Campbell. Romantic and sparkling, the Paige Dress is timeless and vintage-inspired with elements of boho glamour. A stunning custom-designed, embellishment is finished with draped beaded loops over an open back.The Paige Dress is available with multiple skirt options. With a breathtakingly unique back detail, the embellished lace Winter Dress a vision of shimmering open lace work. Wanda features drama and glamour with a modern style. Embellished with hand-sewn sequins, glass beads and pearls, the Wanda Dress is luxurious. Wanda can be sleeveless or with an embellished draped sleeve for extra volume or coverage, as shown below. 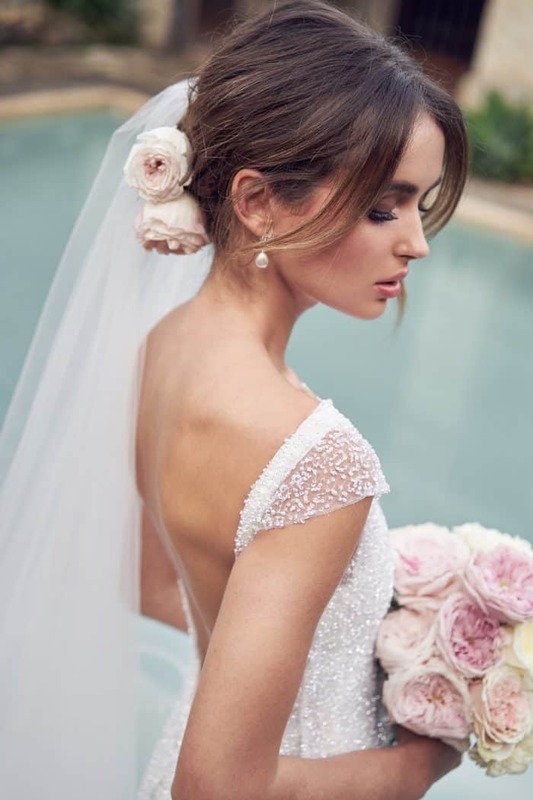 For more information including where to purchase these Anna Campbell wedding dresses, please visit Anna Campbell. 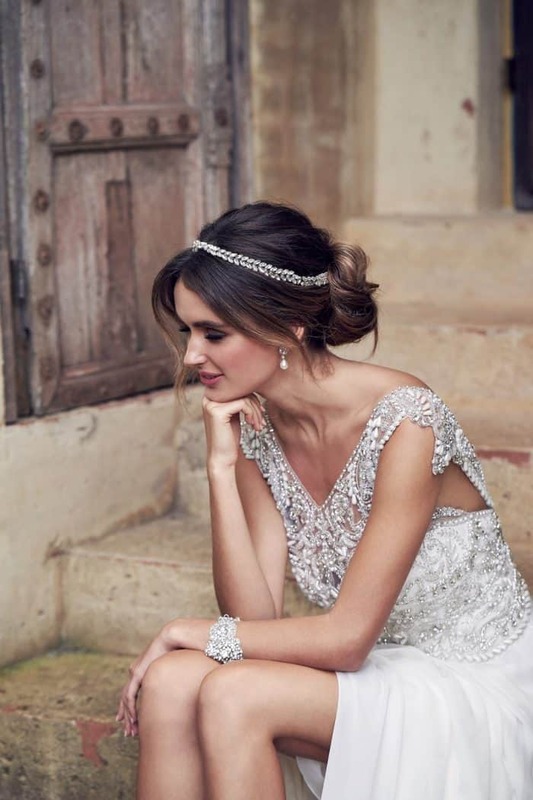 We think these pieces would go beautifully with your Anna Campbell wedding dress! The shopping suggestions below use affiliate links, which means this site may earn a commission if you make a purchase. 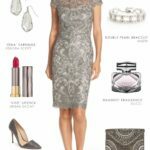 See more wedding dress collections, bridesmaid dresses, and beautiful wedding shoes!